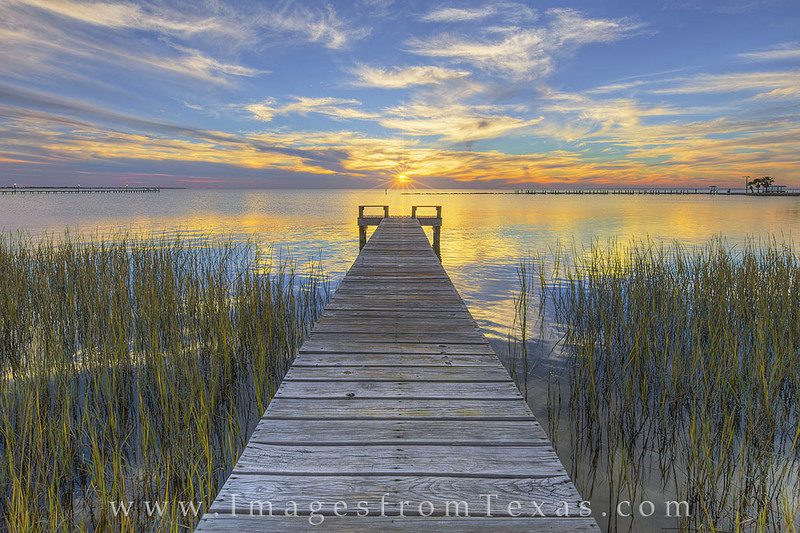 On a quiet evening along the shoreline of Copano Bay near Rockport, Texas, a beautiful sunset graced this tranquil September ocean view. Out in the bay, two dolphins played and chased small fish as I made my way around banks photographing the clouds and pier from different angles. Large fish occasionally broke the surface of the still water as well, breaking the evening’s silence. When I’m outdoors at times like this I really enjoy the solitude and the beauty of this Texas coastline. Photo © copyright by Rob Greebon.